A few years ago I picked up a Meditec argon laser at a surplus shop up in Canada. It was a bit fun getting through customs but overall they allowed it and after looking it over closely and checking out my receipt they let me go. The laser has been moved around with me from location to location with my goal being to eventually get the laser started and up and running, however it always seems like more of a project than I want to take on at any one time and I keep hoping I will come across a commercial power supply for it. I have built on pass-bank power supply in my life and that was quite a bit of work and time involved to do from scratch. I took some photos of the laser tube and the optical rail in order to share the design and setup with other folks who might find it interesting viewing. 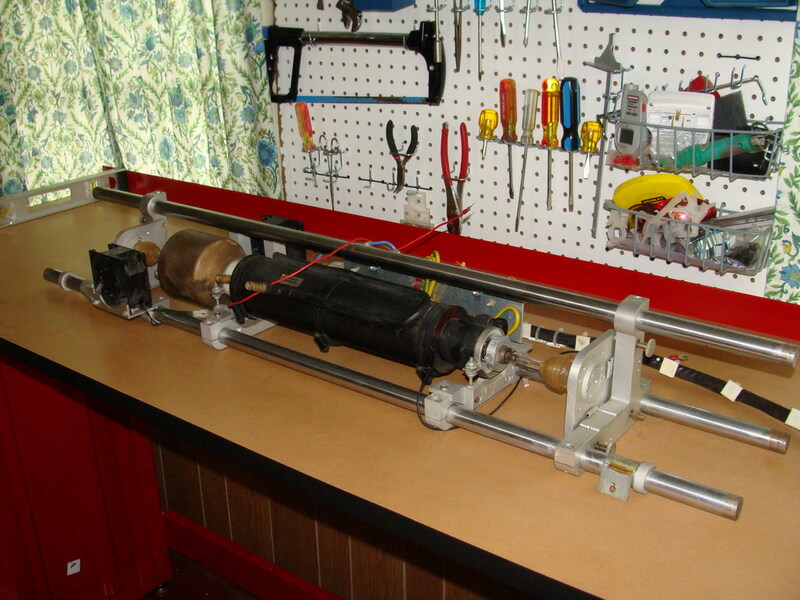 Here is the tube in its entirety mounted to the steel bars for optical stability. I am guessing that the steel bars are actually the alloy Invar or another similar low thermal expansion material that will keep optical drift to a minimum throughout thermal variances. In these photos you can see a close up view of the anode and cathode end of the argon laser tube with the OC and HR optics in their mounts. 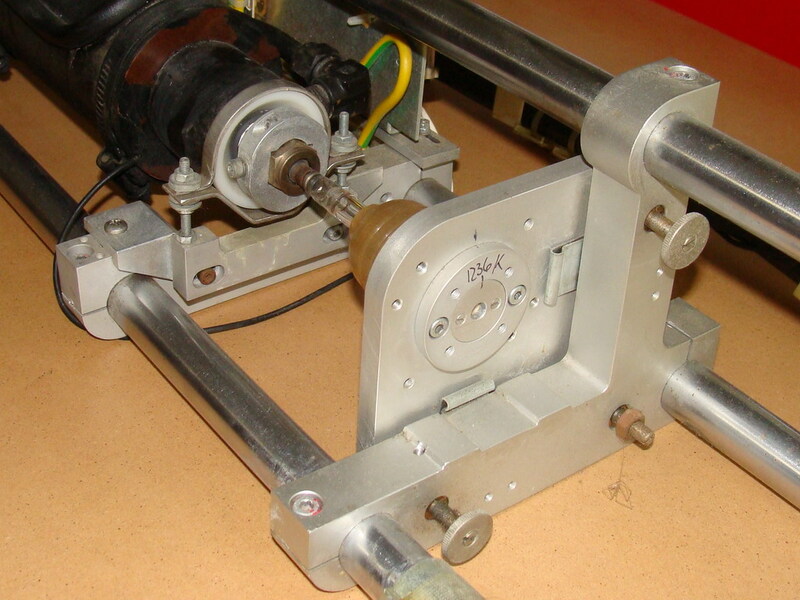 The optics mounts are fairly technical in design with capture plates for the actual optics themselves, fine thread adjustment screws for aligning the optics, and tension springs that ensure the optics plate is always pressed firmly against the adjustment screws. The yellow colored pieces just behind the optics mounts are made of a rubber-like material and provide a dust seal between the Brewster stem and the optics carriage. On the cathode end of this argon laser it’s pretty much the same setup as the anode, but you have the addition of two small 120 volt fans used to keep the endbell cool. The bore of the laser is water cooled, however the cathode end of the laser is not and requires the fans. 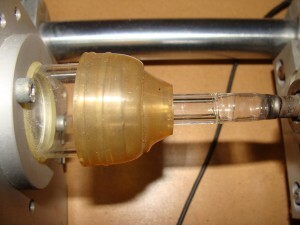 Below is another photo of the laser tube end bell showing isolated and insulated connections for the filament itself and also showing the modular construction of this laser. 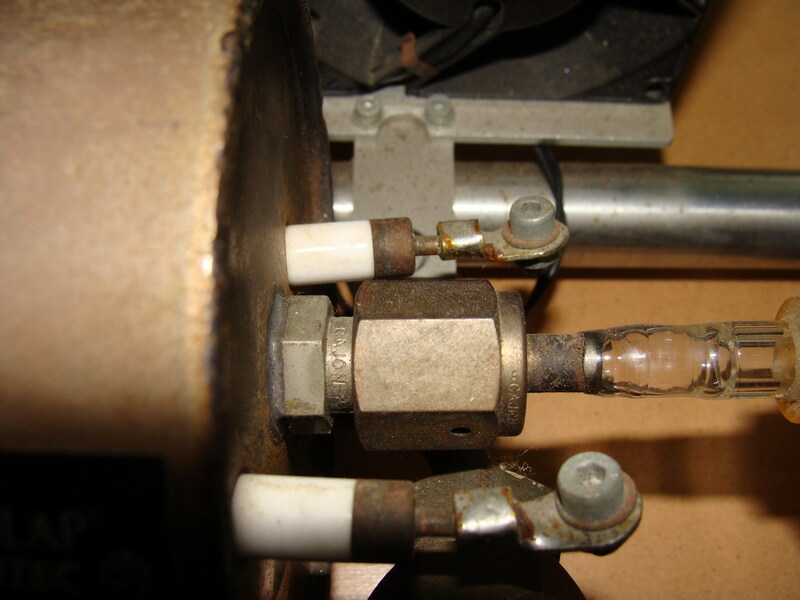 Both the anode and cathode end Brewster stems are removable as is the gas fill line, which you can see on the left side of the bell in the above picture. 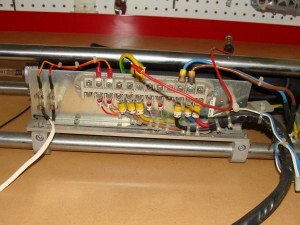 There are additional clamps here and there along the laser which would allow you completely disassemble it into it’s component pieces if you were to re-manufacture it. 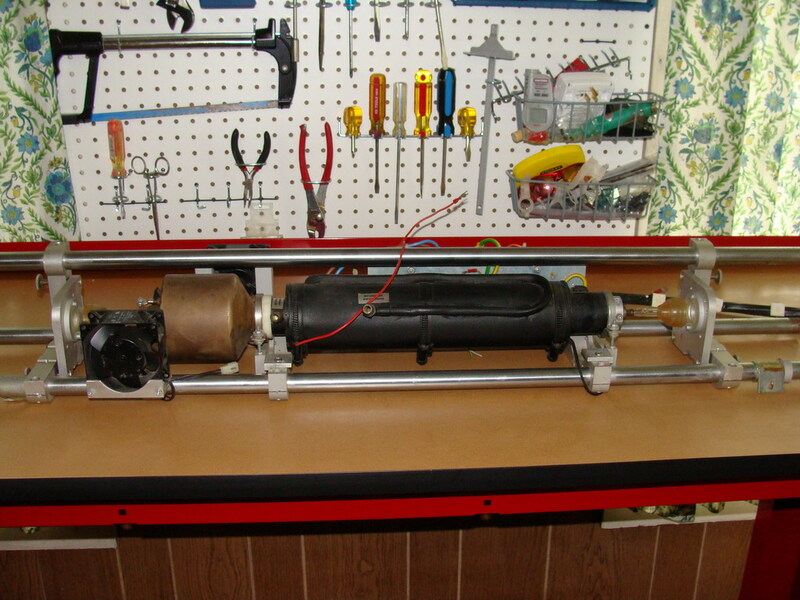 I guess back when this was built it was still cheaper to re-manufacture a laser tube than to just buy a new one. 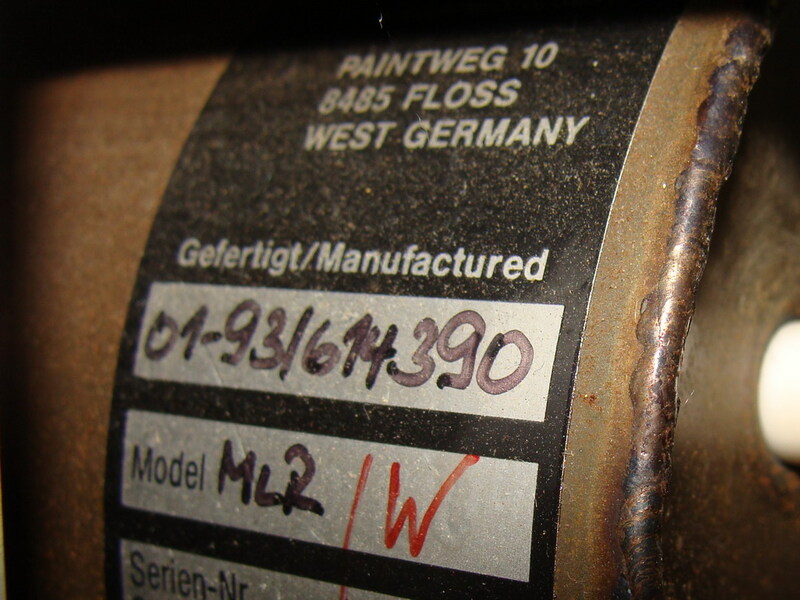 Also on the end bell is the manufacturers sticker which shows the number 01-931614390 for ‘manufactured’ as well as the model number. It’s odd that the model is MLR and then there’s the red /W added to the end of it, I’m not sure what that means, if anyone has any ideas please post a comment to let me know. 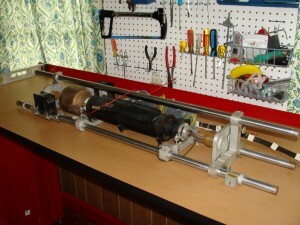 I’d love to find out as much information on this laser as I can but web searches have not come up with a lot of results. I took a few more shots of the optics mounts to provide more detail. 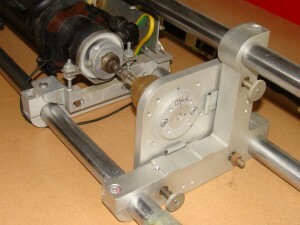 Below is a back angle shot looking at the tube side of the optics. 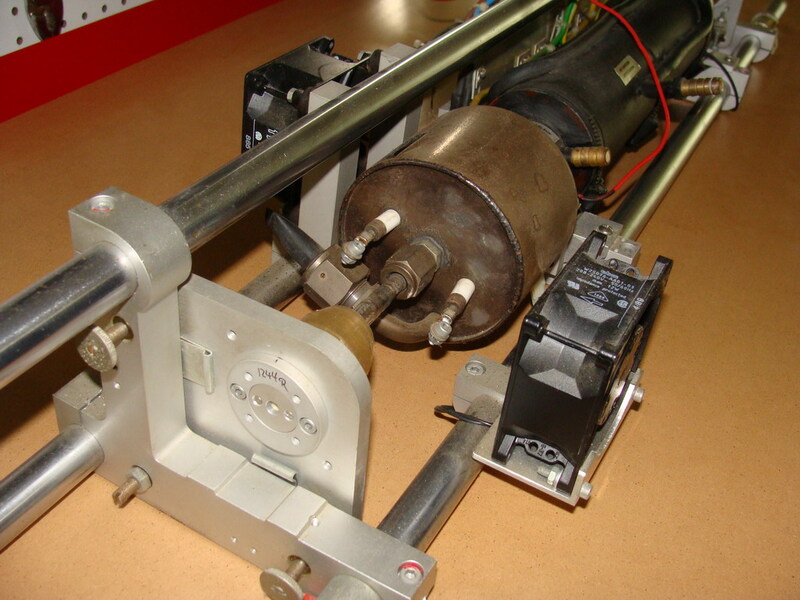 You can see the Brewster stem of the anode end coming from the right of the photo, the rubber-like dust seal between the Brewster stem and the optics mount, and the glass cylinder which is mounted to the optics mount to accept the seal. 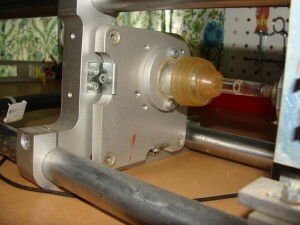 Here is a better shot of the dust seal over the stem and the optics mount. The rubber is quite a few years old but still quite flexible despite being discolored. It has not dried out nor cracked or anything of that sort that would lead me to believe it’s anywhere near end of life. The material may actually be silicone based or something along those lines. I pulled back the seal to provide a better view of the Brewster stem, show the angle of the Brewster window and give a better idea overall of how close the stem is to the actual optics. I then immediately replaced the seal as I really don’t want to tear this whole thing apart to clean the windows if I don’t have to. I hope you enjoyed the photos, please use the comments section below if you have any comments, information or additional questions/requests for photos. Man, that fan is a nice touch to the filament side of the laser…I bet it does a lot to keep those KW’s cool…. Has the tube been remanufactured? 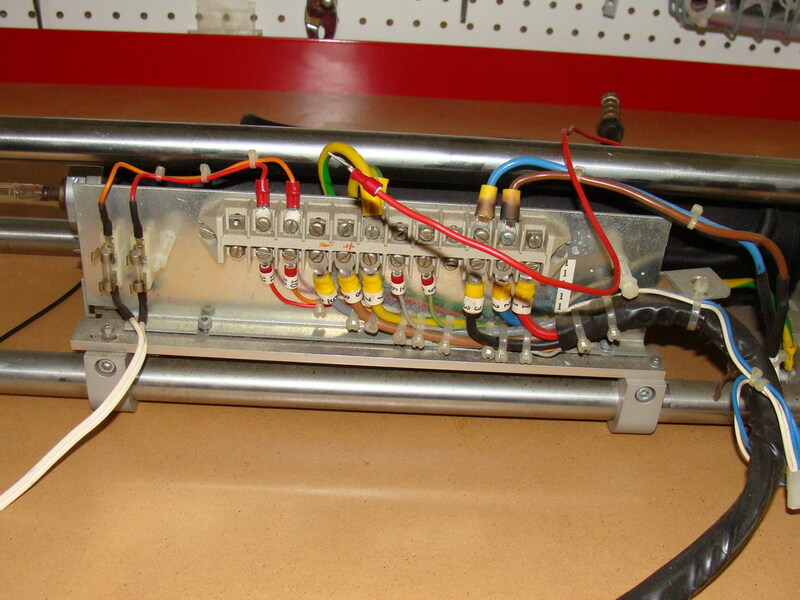 It looks like the brewster stems were re-attached, with some less than precise glasswork. Cross your fingers for white lite, but wouldn’t that be unlikely for a dye pumping system, with preference to the blue/uv side of it. Hi there, I don’t suspect that it this a krypton/argon mixed assembly. I’d be happy with a multi-line argon only. It would be nice to have the same spectrum I got from the 2214-MLAM but I don’t think many medical use lasers used multi-line. 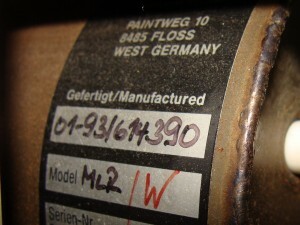 I don’t know if the tube was remanfactured in the past or not, I bought it as a surplus item many years ago. 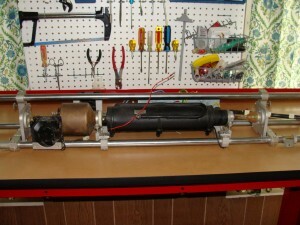 This tube looks like it was meant for rebuilding though with the threaded Brewster stems and the big threaded gas port. Due to a lot of uncertainties about this tube I’m going to work some ways to do some tests before investing the time to build a real power supply for it. Nice post. I have a similar argon laser which is misaligned and before trying to align it I was wondering if you had an idea were exactly the argon is. More precisely is it behind the Brewster window ? Hi Jonathan, The Argon gas is inside the bore of the laser itself, between the front and back Brewster windows. It’s a sealed unit so you shouldn’t have to worry about that at all as long as it’s energizing when the laser ignites and hasn’t been poisoned with outside air through a leak. 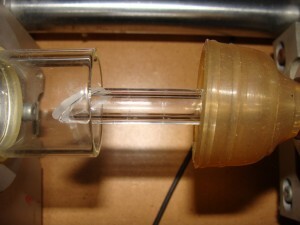 The tubes are usually baked out under high vacuum in an oven and then filled with the gas and then sealed. As long as the seals are in tact all around and there’s no damage to anything it should ignite with a proper PSU. Be careful with aligning as the metal anode and cathode ends of the laser tube are very dangerous electrically when the laser is running.